Biological control uses natural enemies to reduce mosquito populations. 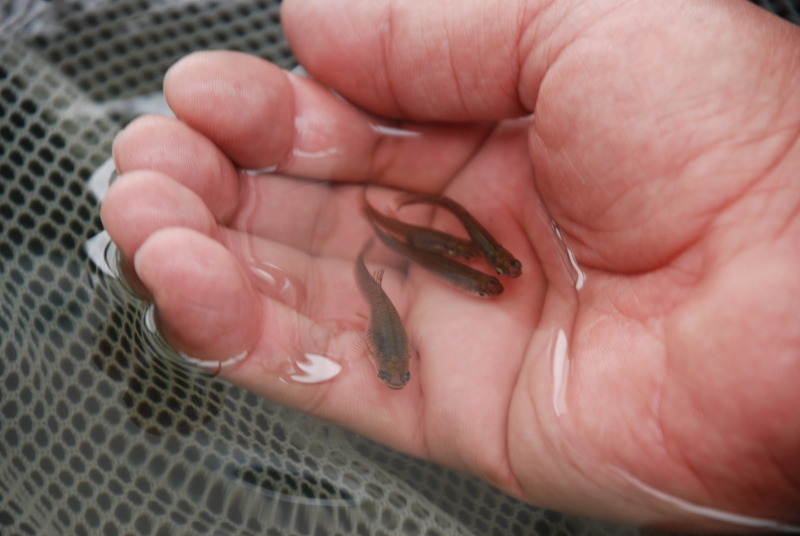 Turlock Mosquito Abatement district utilizes mosquitofish (Gambusia affinis) as a form of biological control. The mosquitofish (Gambusia affinis) has been used to control mosquitoes in California since 1921. These small fish are effective against mosquito larvae because they grow rapidly, and feed at the water surface where mosquito larvae are found. The fish are most effective in settings with permanent or semi-permanent fresh water sources such as ponds, wetlands, water troughs and neglected swimming pools. The district pond is stocked with mosquito fish from May through October. Fish may be collected at our office Monday through Friday from 8am to 4pm (please bring a container with you) or you may submit a request to have fish planted by calling our office at (209) 634-1234 or complete the Request Mosquitofish Form.